I’m not going to say that guns aren’t dangerous, because they definitely are. That said, so is everything else on the planet ranging from a feather pillow, to a bucket of water if used in the wrong way. It is the job of the people and organizations that are against guns to manipulate the numbers and the way they are reported in order to villanize guns. Seriously Violence Policy Center? You can actually report 288 with a straight face? 0 – The next three sub points on accidental deaths, self defense, and voluntary manslaughter shouldn’t count for obvious reasons. 0 – Suicides? Are you kidding me.. why does that have anything to do with the fact they had CCW permits? If they only took their own life I see no reason to include this in the count. 0 – If the case was thrown out, dropped, or no charges were filed then how can this be included either? This is one of the reasons people need to look to see where the numbers are coming from and make their own judgments. There are no repercussions for being sneaky with the data, so if you take what you’re given at face value you are often going to get burned. Thanks again for taking the time to go through the data Matt. Anyone else want to weigh in on this? I agree, the gun grabbers are always using suicide as a way to pump up there numbers, and they should be ashamed. If someone is only killing them self it doesn’t count, they are just taking the easiest and most painless way out, at least they’re not jumping out into moving traffic or going about it in some other way that harms others. And I’m not against alcohol or saying that we should ban it as well, but take a look at the death rates related to alcohol annually: (http://www.cdc.gov/nchs/fastats/alcohol.htm) 14,406 from liver disease and 23,119 (EXCLUDING accidents and homicides). That’s 37,605!! And that was in 2007, I’d be willing to bet the number has gone up (unlike the murder rate). Anyways, we’re all on the same side, you get my point. AND wow, their stats are from 2007 to present so thats 4 years of “CCW Killers”…. 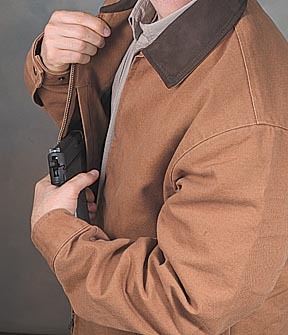 Ole’wolf, we will NEVER see the number of lives saved by CCW. It does not fit their narrative or agenda, and the truth is not in them. I was reading into the Special Interests/banning 50s. I downloaded and read the PDF. Hilarious information. Apparently, these people are worried that someone is going to go out and buy a 50 caliber rifle, and then shoot at stationery airplanes. It seems absurd that they will hit the “oxygen tanks” on Air Force One. And apparently they are the perfect tool for terrorist. the AR-50 is 5′ long. Wouldn’t a handgun or a sawed off shotgun in a crowd be more dangerous? Why do I need a 50 caliber? Why do you need 30 Gucci purses? They did say number of people *killed* by CCW permit holders, not number of people *murdered*. It allows them to include the suicides, since technically those were people killed by a CCW permit holder. Even so, I would include the shootout, or at least half of it, since that was a CCW permit holder killing someone else, even excluding the one of them who presumably acted in self-defense. And like Yeti pointed out, even if you include all of their count, you still end up with only 2.2% of all firearm murders in this country (and not even all violent crime). So admitting that the shootout, or even the pending cases are valid doesn’t really help their cause. CCW holders are an *exceptionally* small group of the overall number of people who kill others with guns. Probably just pulling this out of my arse, but I seem to recall reading that there were over a million uses of firearms in self defence. I’d be willing to wager that more than 288 of those were by people with CCW permits. These guys are the gun control version of PETA – completely insane and nonsensical. Everything they publish is based on dubious facts, incomplete research, and laughable assumptions. It is amazing that people read this stuff and believe it. Bear in mind that the VPC’s figures are for all murders (shootings and non-shootings) by CCW-holders over a four-year period. Compare that to the National Weather Service data on deaths by lightning and you will see that the average American is more likely to be struck and killed by lightning than to be slain by a CCW-holder. Are you kidding me?? This is exactly how special intrest groups get heard in congress, with trumpped up data. This should be illegal, if illegalized the only people with guns would be criminals…derrrr, hello…furthermore what would keep the politicians in line? What would protect the average Joe from the government becoming too strong? Their conscious? Ummm I dont think so? Im sure I dont even need to discuss the fact that it is our constitutional right to bare arms…I do not care what the data says to be perfectly honest, no matter what the law or policy you will always have those individuals who will pervert the law, however…they can have my firearms when they pry it from my cold dead fingers…assuming my son hasnt picked it up to defend his dear ole dad. as you said in the beginning, most everything is dangerous if used improperly. A firearm is a tool, like a hammer or wrench. It can be used for good, and it can be used for illegal purposes. I fell down my wooded steps this winter, and you know what, those things are dangerous too. Especially if I do not take responsibility to remove the ice before trying to go down them. I idea with the gun grabbers is not to tell the truth, it is to embellish some of the fact to inflate the truth to the point they spark outrage. Long before gunpowder, people managed to commit crimes and murder people just fine. Outlawing firearms is just another attempt to control the American people. And if every gun was outlawed, the only guns taken would be from law abiding citizens, not the people intent on criminal behavior. I thank God I live in Indiana where we have a lifetime carry permit and our laws actually allow us to protect ourselves and others. How many of those CCW holders were LEO’s doing their job to protect the public? A gun, in and of itself is NOT dangerous in any way !! It is the person behind the trigger. I have never seen a gun (pistol or rifle) jump up, load itself, and fire on anything. It takes the human element ! The gun is nothing more than a tool, a paperweight, and untill you add the human element it is absolutely unequivicably NOT dangerous. I have never seen or even heard of a pistol, rifle, or shotgun offer to help someone take thier own life. As for bumping numbers, how many people were electrocuted to death in the last year? How about commited suicide by pharmacutical means? How many died because of Car crashes? Plane crashes? Train wrecks? Drowning in home pools? How about other means of suicide (razors, rope, jumping)? Seems to me that we should outlaw all of these, no more cars, pools, shaving tools, ropes, shoe laces, or planes !!! We should have to have a complete FBI and local background check before we drive, fly, or shave !!! These Government and Anti-gun people need to open thier eyes !!! THE LAW ABIDING GUN OWNER IS NOT DANGEROUS !! INSTEAD OF ENACTING NEW LAWS -ENFORCE- THE ONES ALREADY ON THE BOOKS !!! I also went through the data and found that at least one murder was committed with a knife. At least 12 deaths were from Arizona shootings… Arizona does not issue CWPs, so they cannot say that these murders were caused by CWP holders. One was a security guard who shot an armed trespasser. One murder was from road rage, which all these people go on about, only some road rager was trying to pull a cwp holder out of his truck and the man used his gun in self defense. I hate VPC with a fiery rage.